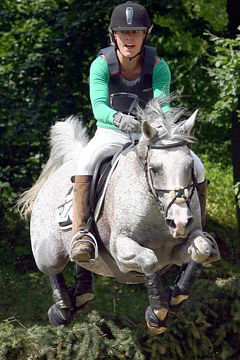 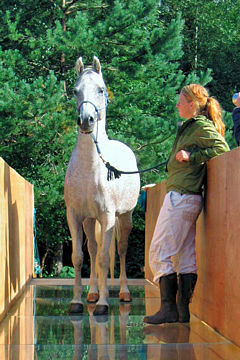 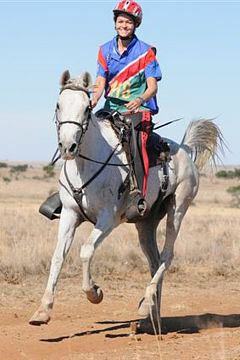 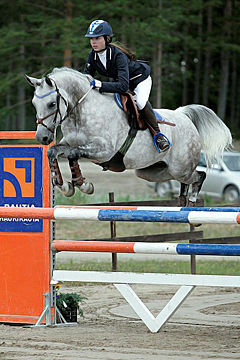 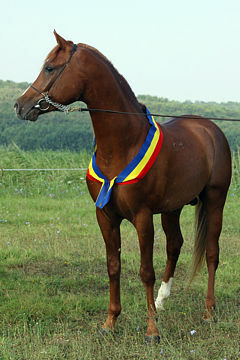 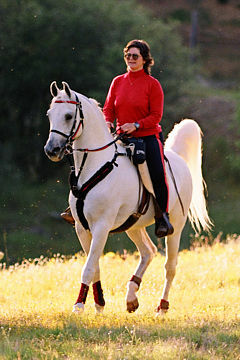 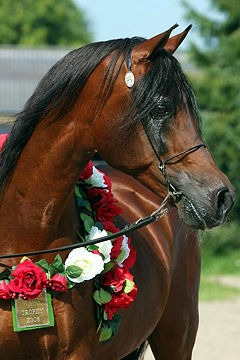 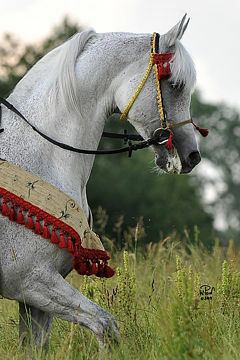 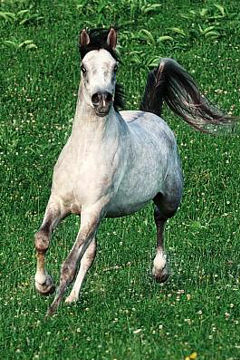 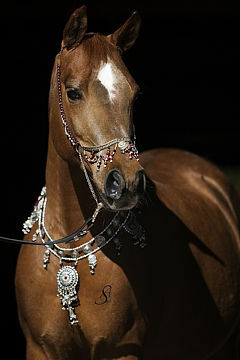 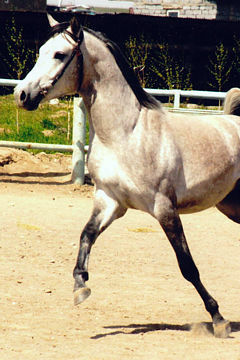 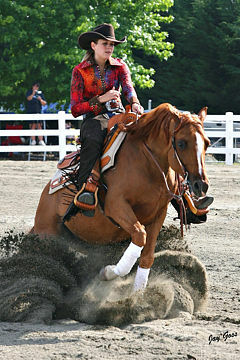 SHUWAIMAAN JAZEEL, Bay Stallion, *1997 (Musannaan Alra’ad / Shuwaimeh Darahim). 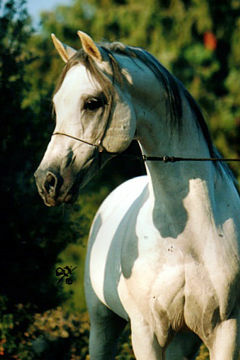 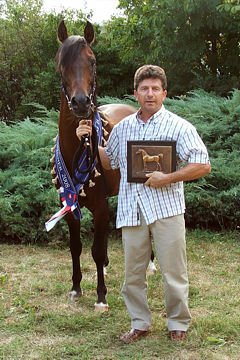 Breeder: Amiri Arabian Stud of Bahrain. 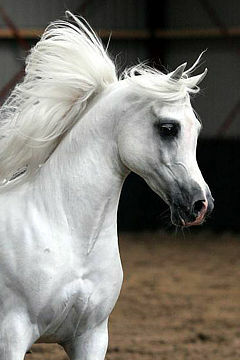 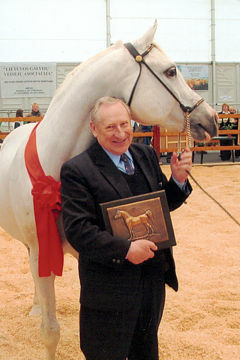 Owner: The Royal Arabian Stud of Bahrain. 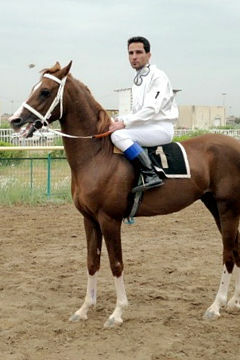 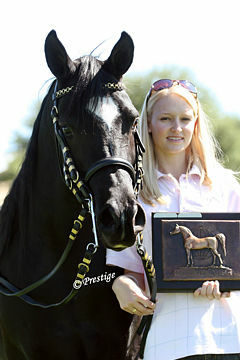 The WAHO Trophy for the year 2005 was presented to Bahrain’s best Arabian racehorse SHUWAIMAAN JAZEEL from the Royal Arabian Stud of Bahrain on the 3rd of March 2006. 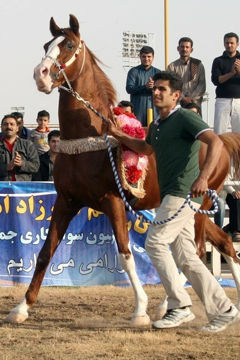 The presentation took place on the occasion of the HH Sheikh Faisal Bin Hamad Al Khalifa National Arabian Horse Show. 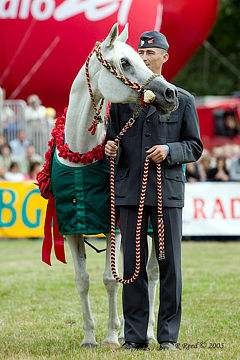 Dr. Ibrahim Zaghloul, WAHO Executive Committee Member, presented the trophy to HE Sheikh Faisal Bin Rashid Bin Isa Al Khalifa. 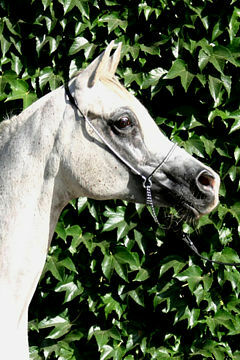 SHUWAIMAAN JAZEEL 1034 was foaled in 1997 by Musannaan Alra’ad 321 out of Shuwaimeh Darahim 892. 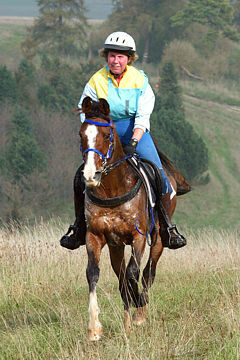 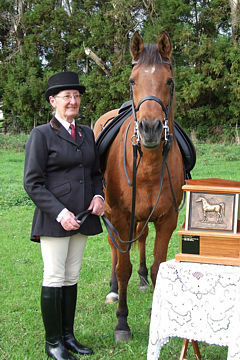 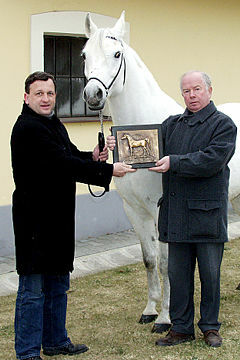 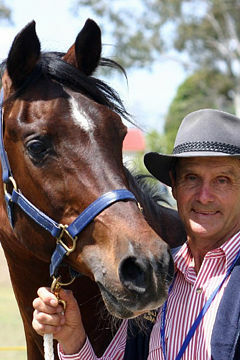 In five seasons of racing this fine bay stallion won 20 times from 24 starts, was runner up three times and third once. 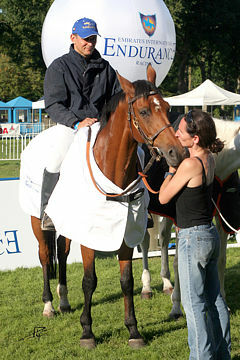 His most emphatic victory came in last year’s Kings Cup which he won easily by nine long lengths. 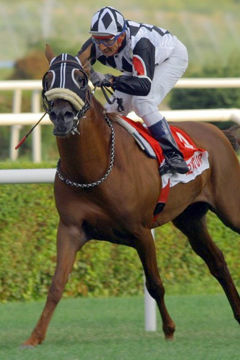 This was his third Kings Cup and also his last start as he is now retired. 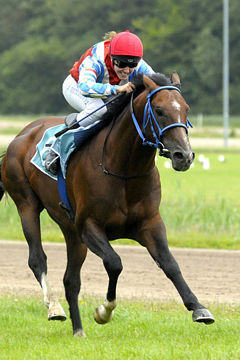 These glittering statistics are made all the more remarkable by the fact that SHUWAIMAAN JAZEEL 1034 was not a very sound horse and he survived two life threatening illnesses during his racing career. 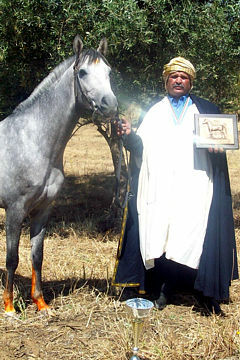 So we salute the great heart of this brave horse and the training skills of his handler ‘Abdi’ Redha Abbas who kept him performing at the highest level with the able help of the support staff at the Royal Stables.